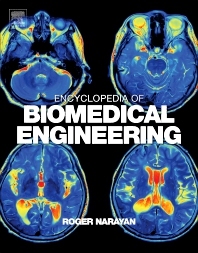 Encyclopedia of Biomedical Engineering is a unique source for rapidly evolving updates on topics that are at the interface of the biological sciences and engineering. Biomaterials, biomedical devices and techniques play a significant role in improving the quality of health care in the developed world. The book covers an extensive range of topics related to biomedical engineering, including biomaterials, sensors, medical devices, imaging modalities and imaging processing. In addition, applications of biomedical engineering, advances in cardiology, drug delivery, gene therapy, orthopedics, ophthalmology, sensing and tissue engineering are explored. This important reference work serves many groups working at the interface of the biological sciences and engineering, including engineering students, biological science students, clinicians, and industrial researchers.